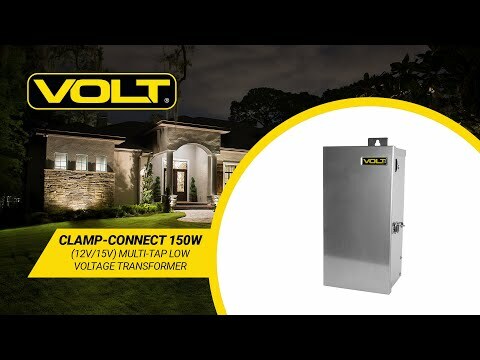 Exclusive VOLT® Innovation: 150W Clamp-Connect 12v/15v LED Landscape Lighting Transformers - featuring easy-to-use clamp-type connectors. This 150-watt Landscape Lighting Transformer features clamp-type terminal blocks that offer many advantages over typical screw-type blocks. Requiring no tools, the stripped wires are inserted individually into each hole, then clamped in place. The process is fast, simple, and provides extremely secure connections - you can't pull them loose. To ensure a proper connection, lift the white lever to the fully open position. This is achieved once the lever is perpendicular to the direction the wire is inserted. Once the wire is fully inserted into the hole below the open lever, push the white lever back down until it clicks into the closed position. Make sure your connection is complete by giving a light pull on the connected wire. 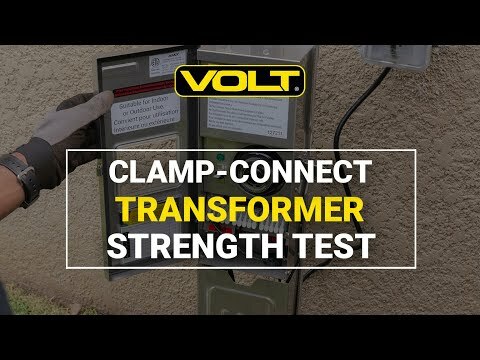 Exclusive VOLT® Innovation! Clamp-type connectors to save time and money - and, for better connections that will never come loose. Designed for LEDs - only two voltages required - 12 & 15 volts. The lower voltage for short runs, the higher voltage for longer runs or for runs with more fixtures. Terminals rated for use of up to 12-gauge wire. Spacious wire compartment (in combination with the clamp-type connectors) makes installation a breeze. 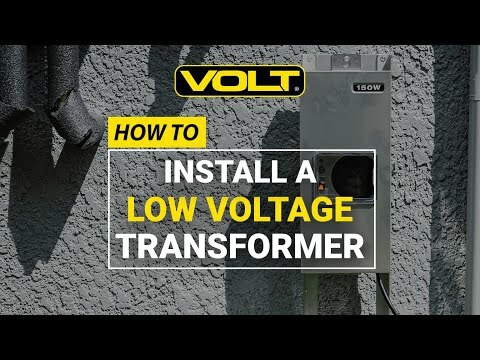 These transformers use two coils, a primary coil and a secondary coil, to reduce the voltage from 120 volts down to 12 volts. The primary coil carries the line voltage (108 v to 132 v). The flow of electricity through the primary coil induces a magnetic field that creates a current in the secondary coil. Since the secondary coil has 10 times fewer windings, it creates a current with 10 times lower voltage.